Renowned as the Julia Child of Mexican cuisine, Diana Kennedy won the JBF Best Cookbook Award for Oaxaca al Gusto: An Infinite Gastronomy. 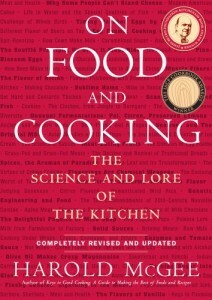 Inducted into the cookbook hall of fame this year was On Food And Cooking: The Science And Lore Of the Kitchen by Harold McGee, an author known for exploring the history and chemistry of cooking. Bravo's Emmy-winning Top Chef received the award for Best TV Show, and Alton Brown, chef and host of the long-running Good Eats, was awarded Best TV Personality.